Unfortunately, solar operators come and go. In fact, at the time of writing, more than 500 have come and gone since 2011. Many think that by selling the cheapest gear they can lay their hands on and reselling it constitutes a business model, but unfortunately excessive warranty claims catch up with them pretty quickly. For many closing the doors and moving on is the easiest thing to do. This leaves their clients to pick up the pieces (so to speak) when trying to obtain warranty outcomes and having their systems fixed. “It will be fine – it has a 25 year warranty” the salesman often says. But what they don’t tell you is that the cheap imported panels or inverters don’t have representation in Australia. This effectively means you have no warranty if the importer is not around, (try getting a quote to send a bunch of solar panels to China for inspection – let alone have them uninstalled and reinstalled). It’s unfortunate to say, but for the many customers that ring Infinite Energy with this issue, their best option is to scrap their solar system and start again (not the financial or environmental outcome they had in mind when they purchased the system). - Is the office local or interstate? - Check the Google Street View or better yet, go and visit in person. - Is it a staffed office? A storage shed? Or just the home address of a backyard operator? Large commercial solar projects (100kW+ in size) require a high level of expertise in solar design and installation. As a result of the large investment required for these systems, commercial clients tend to have a very rigorous selection process to ensure not only a quality installation, but also after-sales support should it be required. A solar company successful in Commercial Solar is also more likely to stay in business long-term. Backyard or unstable solar operators don’t tend to pass through the stringent procurement processes of larger companies, so a lack of systems installed over 100kw is an indicator that the business may not have the expertise, stability and quality required to operate in this part of the solar market. 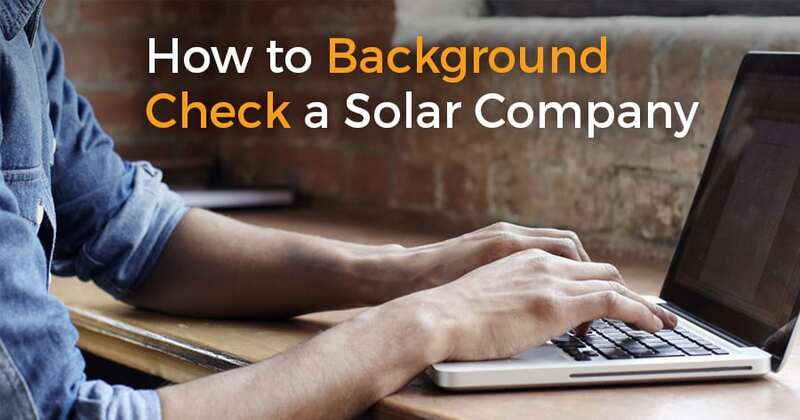 Many companies that are unable to pass the audit to become a ‘CEC Approved Solar Retailer’, rely on their CEC Membership or CEC Accredited Installer status (both are a lot easier to obtain). There are currently only 10 WA-based solar companies that meet the standard of the CEC Approved Solar Retailer Program. 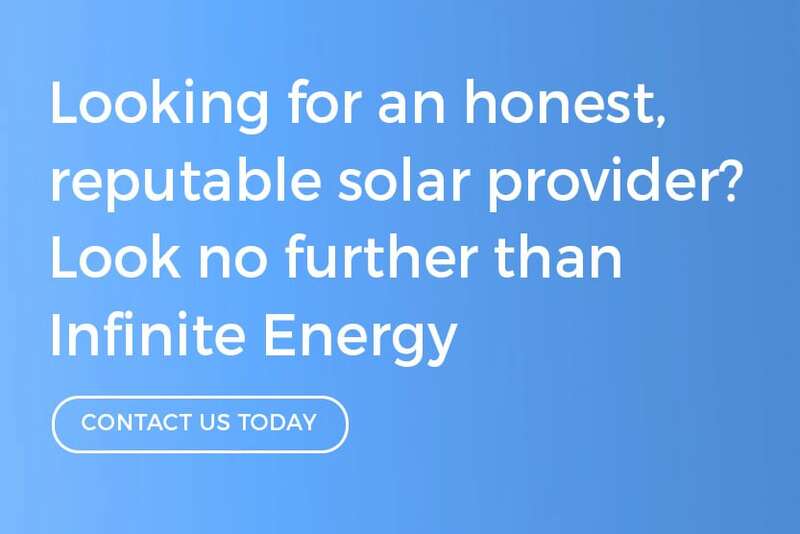 By choosing Infinite Energy you gain the peace of mind from dealing with one of the few solar companies that holds both CEC Approved Solar Retailer status and Quality ISO 9001 certification. This involves passing yearly audits to prove we follow industry best practices and provide our customers with a consistent, high-quality service. In addition to our commitment to always providing a high-quality of service, Infinite Energy has also achieved AS/NZS 4801:2001 certification for the operation of an Occupational Health & Safety Management System. The implementation of such a system helps Infinite Energy complete all projects, including solar installations, to the highest safety standards, protecting our business, our employees and our clients. With just 10 WA-based solar companies that meet the standard of the CEC Approved Solar Retailer Program, there are even less that also hold a Quality ISO 9001 certification and AS/NZS 4801:2001 certification. This is a key giveaway of a backyard operator – many just use a mobile phone number and have no land line. Many sales people appear to be “nice guys” and many of them genuinely are. But being a nice guy on its own doesn’t mean you have a sustainable business model. The solar industry’s relatively short history has shown that the “cheap & cheerful” business model normally doesn’t stand the test of time and leaves many former customers out of pocket when systems fail (and even good quality systems have failure rates – albeit much lower than inferior quality systems). Nine year track record of both installing solar systems and honouring warranty claims. Chances are there is an Infinite Energy solar power system in your neighbourhood - click here to see some of the installs we have done in your area. A dedicated Service Department to assist customers with any issues. A 5 year “Whole System” Warranty provided by Infinite Energy locally (over and above manufacturer’s warranty). Accredited Service Partner Status with major manufacturers like Fronius. Clean Energy Council Approved Solar Retailer Accreditation and Quality ISO 9001 certification. A physical Office and Solar showroom you can visit in South Perth. A large number of commercial solar projects under our belt. In fact, we’re the 4th largest installer of commercial solar projects in Australia. See some of our recent projects here.